Guest Post by Jemima Bartlett. 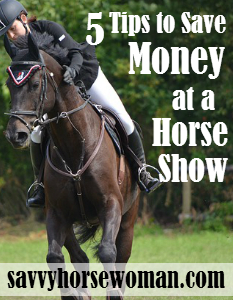 It’s show season again so buckle yourself in for a crazy financial ride. 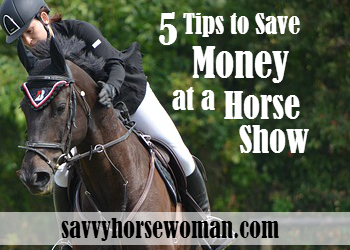 Between gas, entry, insurance and registration fees, lessons, clinics, veterinary treatment, chiro sessions and saddle re-fittings amongst others necessities, your budget will likely experience a significant tightening! Follow my helpful hints to see if you can save some spondula. will boost your energy and concentration levels. A simple makeup switch-a-roo can save you lots of money! for an extra sheen on your horse’s quarters, try a few drops of baby oil. your entry to the event.